Caterham sixth formers hit the mark once again! Almost a quarter of all this year’s A Level grades achieved by Sixth Formers at Caterham School are the top A* grade. 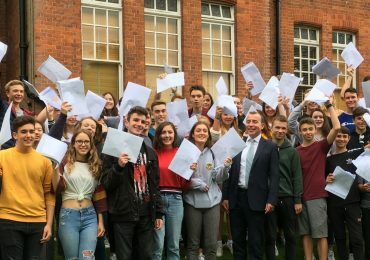 Another year of outstanding success has seen 85 per cent of A Level results graded A* to B, and an impressive 60 per cent of results graded A*-A (these figures are very likely to rise significantly after re-marks). 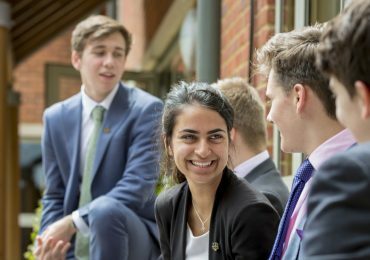 This year’s results place Caterham School amongst the top performing co-educational independent schools in the South East, based on A*/A grades at A Level. Mr Ceri Jones, Headmaster, said: “Congratulations to our Upper Sixth who have achieved such a strong set of exam results. I am equally delighted that they have ensured their time at school has been spent on developing themselves as individuals, developing their own interests and passions and making lifelong friendships. “Pupil wellbeing in the round, rather than merely exam performance, remains at the heart of a Caterham education – and, of course, it is this very approach which helps our pupils cope with the challenges of exams. “As ever, there are some stunning individual performances in these results and from an academic point of view I am particularly pleased that nearly all our leavers have won places at their chosen university – and also that another dozen or so pupils will be joining the sixty Caterhamians that we have sent to Oxford and Cambridge over the past four years.